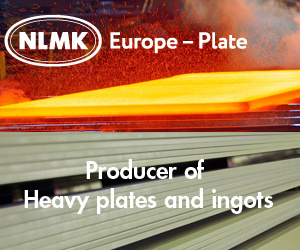 NLMK Group, a global steel company, has begun hot testing of its accelerated cooling system at NLMK DanSteel's hot-rolling plate mill in Denmark. The new equipment will fundamentally change the company's product mix and increase the share of niche plate, including for offshore wind power generation and pressure vessels. The new accelerated cooling system is in-line with the hot-rolling mill. After rolling to the final thickness, the plate is fed into the cooling system and cooled rapidly with water under controlled conditions. Thermomechanical rolling allows the production of plates with improved weldability while improving the strength and toughness. Improved weldability is especially important in the production of underwater foundations of wind towers that operate in aggressive maritime environments. The new cooling system will boost the production of niche premium plate from the current 0.1 million tonnes to 0.35 million tonnes. "The introduction of the new in-line cooling system at NLMK DanSteel is an important project in our Strategy 2022 portfolio. It will fundamentally change our product mix due to the ability to meet more demanding mechanical properties in our plate. 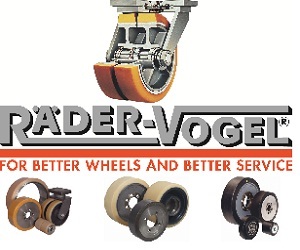 This will the company to grow the share of niche plates in its portfolio to 45%”. Investment in the project totalled more than EUR 20 million. SMS supplied the main equipment for the accelerated cooling system and water treatment complex. Currently, the equipment is being fine-tuned while the team is mastering the new cycles of thermomechanical rolling and accelerated cooling. After the hot tests, the company will initiate production of the wider range of plates and will start the certification of these products. In Q3 2019, it is planned to start the production of large industrial batches of plate for the energy sector. NLMK has the most competitive cash cost among global manufacturers and one of the highest profitability levels in the industry. In 12M 2018, the Company generated $12 billion in revenue and $3.6 billion in EBITDA. Net debt/EBITDA stood at 0.25?. The Company has investment grade credit ratings from S&P, Moody’s, Fitch and RAEX (Expert RA).